The dismantling of the airbase was started some time earlier. The taxiways constructed of pre-cast concrete slabes are already removed in this picture, and taken back to Russia by train. 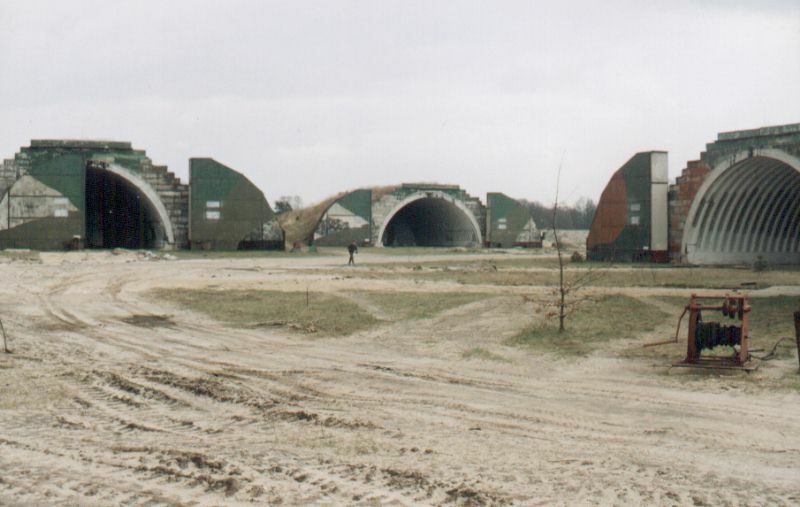 The shelters seen here (Type 3/16) are of the largest variety found in East Germany, measuring 30 by 16 meters.